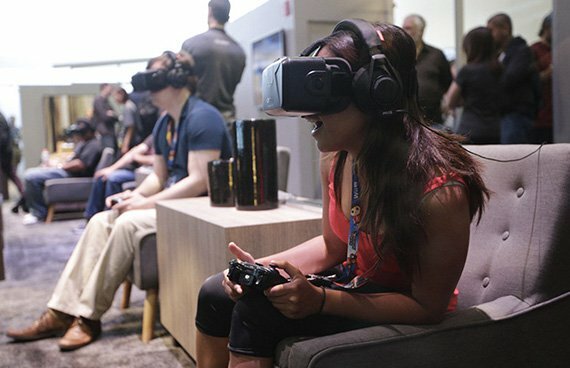 Facebook reduced the construction time of Oculus Rift booths at large-scale tech events using Fieldwire to delegate work and communicate progress in real-time. Regardless of age, lifestyle, or location in the world, you have likely heard of or actively use Facebook. This revolutionary social media platform extends its reach beyond staying in touch with friends. It’s become a source of world news, promotion, socializing with others and keeping a living record of your life. Facebook’s massive success and utility in a multitude of applications has led the company to having many fingers in many pies, and one of their latest endeavors involves branching out into the world of virtual reality. After acquiring Oculus VR, a promising virtual reality company, Facebook began developing plans to make use of this exciting new platform. This is especially true of Oculus’ chief claim to fame, the Oculus Rift headset. Joshua Harsono, a Service Delivery Manager for Facebook Event Operations, wanted to apply that same drive for exploring new technology to address their marketing and display shows for the Oculus Rift at major entertainment and gaming events. After looking at available project management solutions in the app world, he found Fieldwire and quickly realized it offers many opportunities to improve their lean project methods. 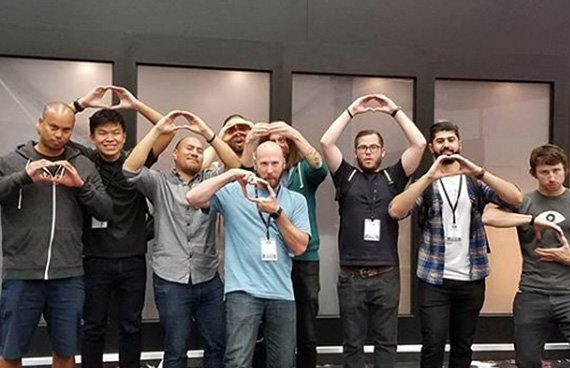 When preparing to assemble their Oculus Rift displays at large conference events like E3 and GDC, Harsono has his team get familiar with the event space and coordinate with construction crews to get each project in motion. Early steps involve mocking up the floor layout and testing out their design before deploying on-site. Prior to integrating Fieldwire into their process, Harsono would have to rely on paper drawings and the speed of his own two feet in order to manage the building effort. “It wasn’t very efficient,” says Harsono. “We would have a physical floor plan just posted up on a wall somewhere, and I would be running around checking with everyone. I would have a Sharpie and I’d use that for making markups. Harsono’s crew is now able to carry every plan in their pockets on a mobile device, and any changes or new versions are automatically synced so that everyone has the latest information in hand. They also make use of the extensive markup toolbar to indicate specific jobs or updates, such as using the color and cloud tools to divvy up each crew member’s sections. This helps everyone on the event team know exactly where they are needed, and if anyone’s work gets blocked or there are other extenuating circumstances, they can shift their attention to another location in need. So much care goes into the assembly of product displays that it becomes important to balance time when setting up at each show. Presenting the Oculus Rift in the most effective setting possible is crucial to bringing in the most event traffic, so Harsono and his team must streamline their work and deliver the best arrangement they can without delay. A big part of ensuring this happens is making sure they stay on top of everyone’s progress, and the real-time notification system in Fieldwire alerts Harsono whenever his team adds new content to their tasks. He can also designate work on the fly by creating new tasks or updating existing ones whenever priorities shift. This sort of immediate feedback on the work being done not only tremendously boosts efficiency, but also allows Harsono to use this quick knowledge to funnel his team to where they are needed most. He regularly utilizes Fieldwire to touch base with the showrunner to assess and troubleshoot any road bumps in order to eliminate wasted time. Blockages such as electrical work or panel maintenance or sensor installation can be mitigated with great ease, and the project schedule can be maintained because Fieldwire aids them in tackling every issue to avoid missing deadlines. "Everybody is walking around less because instead of checking in face-to-face, they can just pop open Fieldwire and know if anyone needs help." 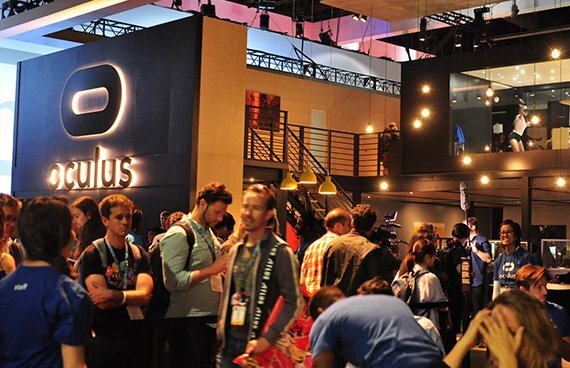 The Oculus Rift continues to impress as it gains more exposure and prestige through its booths at media events and conference showcases. Facebook has poured a lot of energy into this immersive virtual reality platform in their quest to create fresh and personal social media experiences, so continuing to achieve a high standard during live demonstrations is vital to increasing public interest. Joshua Harsono and his Event Operations team have successfully kept that high standard at every opportunity, and with the help of Fieldwire, they’ve steadily raised that bar even higher. Their success is a testament to the power of today’s technology to enable us to build smarter going forward.